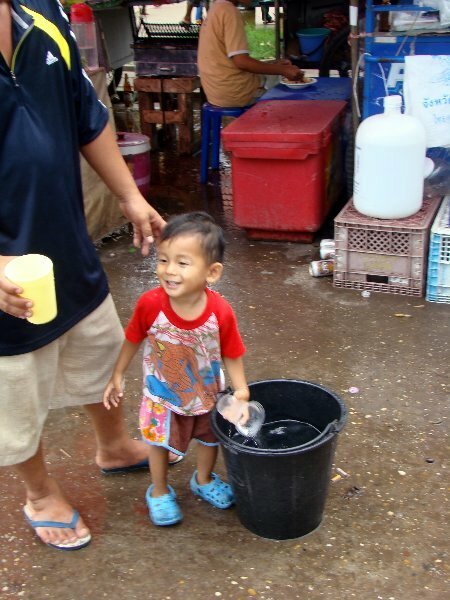 You Are Here: Home » Thai Festivals » Songkran is Coming! As you can see from the picture above I have already started stocking up on small arms, heavy ordinance will be acquired soon enough. A lot of expats can be heard moaning about the upcoming festivities and quite a few have already left town to escape the madness….me, I love it! Water cannons, powder smeared on your face and smiles everywhere, whats not to love. While Songkran is only supposed to be from the 13th to the 15th; here in Pattaya the official days are the 13th to the 19th with more than a few people getting it started off early on the 12th. 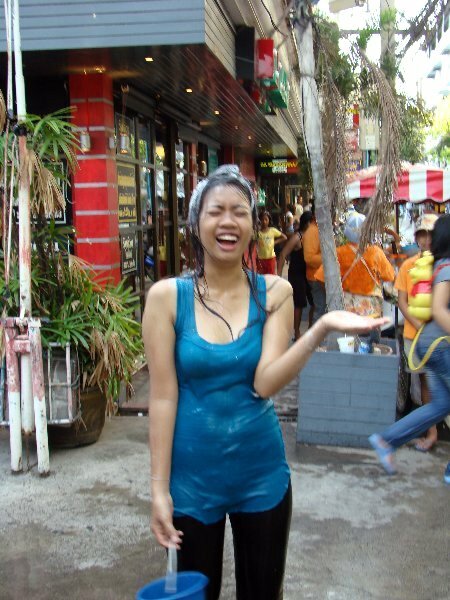 If you are like me and you go into the Songkran festival accepting you will be soaking wet for a week then it’s all good, sure, there are always some idiots that love to ruin things by dousing people after dark or aiming for your camera but they are largely far and few between. 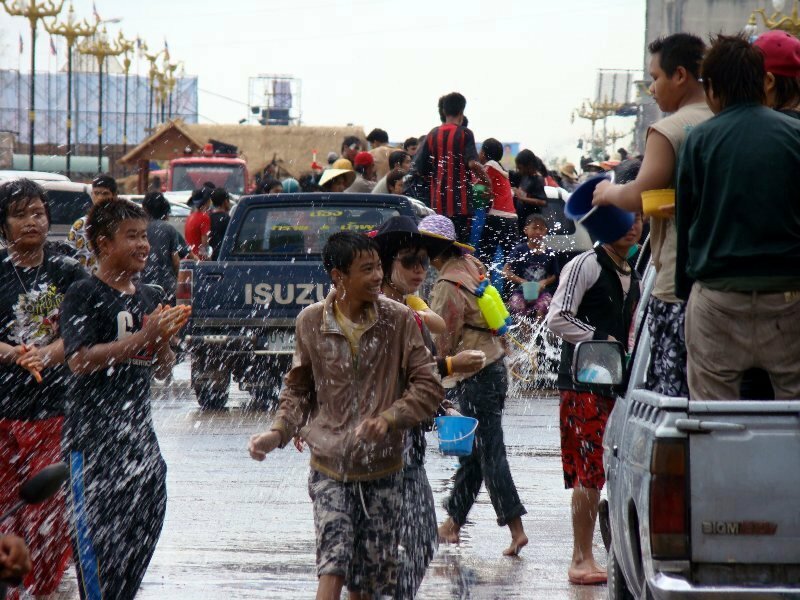 For those who may not know or have completely forgotten Songkran isn’t just the worlds largest water fight, it happens to be Thai New Year. A time when one cleanses ones spirit and washes away the bad of the previous year. What used to be a simple ceremony of monks dripping scented water on the faithfuls heads and monuments to wash away the bad has turned into all out war and personally this is how I think all wars should be fought. I can’t even imagine the money the Songkran war machine will rake in from brightly colored floral uniforms to all manner of plastic armament…I know I contribute yearly to the arms race. Buddha knows I lose every gun and cannon I buy every year! For me though Songkran is about spending time with friends and family and enjoying the cool water as the temperature begins to rise in Thailand. 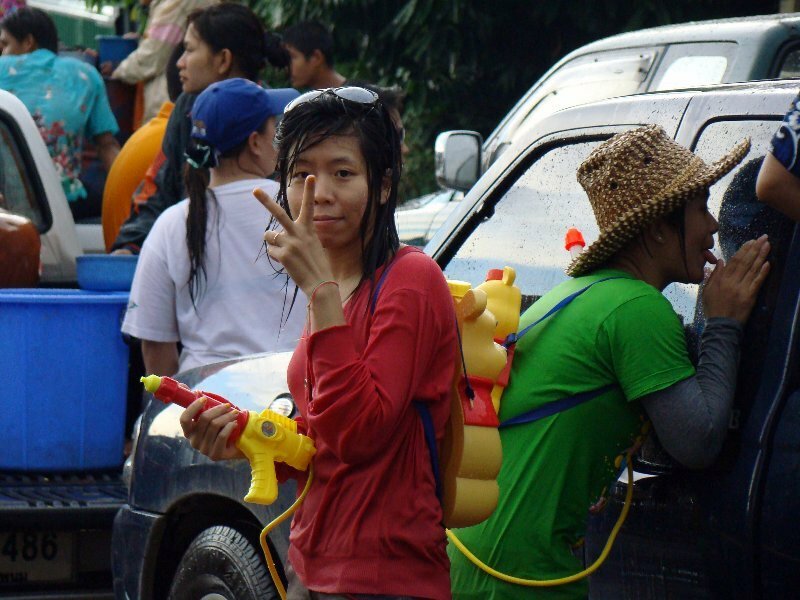 Everyone should experience Songkran at least once in their lifetime…if you thought water fights were fun as a kid then you can only imagine how much more fun it can be as an adult. As with last year I will definitely be giving daily updates with loads of pictures …so, make sure you check in regularly. If you need a little peek of whats about to happen you can check out the Songkran Photo Gallery for 100′s of past Songkran pics. 6 Responses to Songkran is Coming! 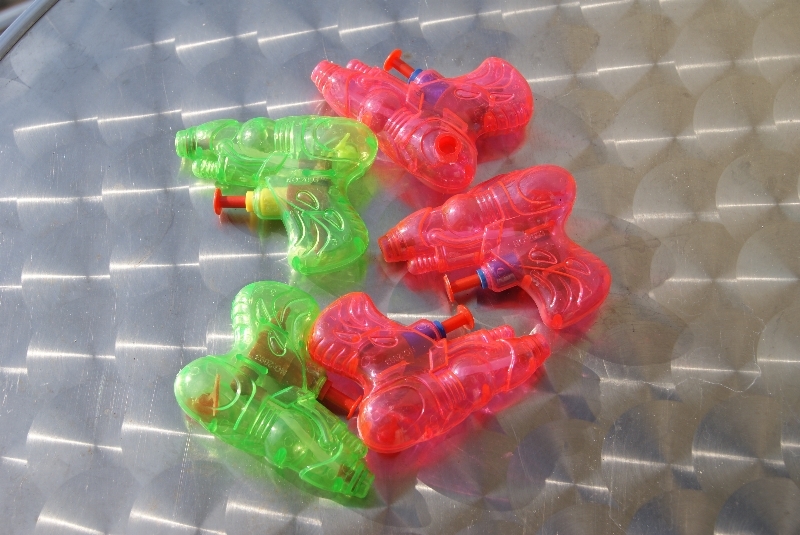 Stray scoffed at my first purchase of Songkran weapons, two small, very toy water pistols. I had no ‘real’ idea of the bedlam that lay ahead. It was an experience and a half. We parked the bike outside of the CM city area and songtheawed it into a bar where we could watch and partake in the festivites…drenchings. Pointing at my camera (risky) kept me from being a target, quite a few times. I had to keep my camera in a zip-lock bag to take pictures, and dispite this they didn’t come out too bad, including the ones I took when on the back of a scooter. Taking pictures on a motorcycle, half inebrieted while drench with torrents of water, I surprised I made it out ok! Rambone, I am doing something similar with my DSLR …many plastic bags and a telephoto lens…still scares me a bit though. 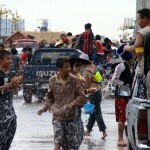 The fact Songkran is on different days at different places can extend your partying. 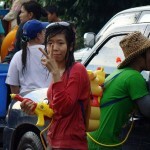 One year I was in Chaing Mai for two days of Songkran, went to Pattaya and had another three days. Same thing two years later when I was in Pimai (Nakhon Rachisima) right after I got married. 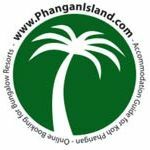 Rambone, Pattaya is definitely the great Songkran equalizer…it last 7 days here so you can enjoy yourself other places and still have it waiting for you in Pattaya. Rambone on Songkran is Coming!